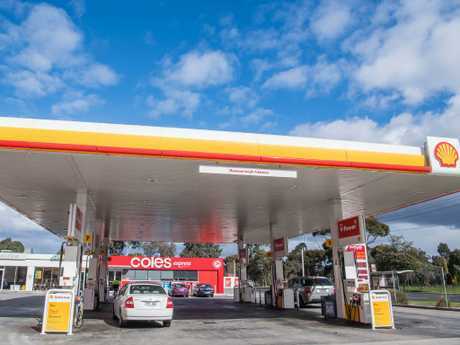 MORE than 100,000 Aussies, fed up with paying through the nose for petrol, are planning to boycott service stations next month but experts say the nationwide strike won't work. But as the strike continues to gather steam, the nation's motoring bodies are calling on Australia's millions of drivers to take a different tack, insisting exorbitant fuel prices are out of Australia's control. Instead of boycotting service stations on just one day - October 26 - motoring bodies say drivers should vote with their wallets every day of the year. NRMA spokesman Peter Khoury said he understood drivers' frustration at petrol prices - the highest they've been in more than four years - but said the best way to push prices down was to shop around. "Often you'll find petrol stations a few kilometres apart with a gap of around 30 cents a litre, that's huge. That's the real way to make a dent in petrol prices - by taking your money to cheaper stations," Mr Khoury said. He said a number of factors outside of consumers' control affected fuel prices. "I understand the public's desire to want to change something but the challenge we face in Australia is the factor that's made petrol prices the highest they've been in 4.5 years are largely global," Mr Khoury said. Global sanctions placed on Russia and Israel and the war between Saudi Arabia and Yemen have impacted oil prices, factors Australia has "no control over", Mr Khoury said. Since July last year, there's been a 44 per cent increase in oil prices per barrel and the Aussie dollar has also taken a hit. "It's important that oil companies don't use those situations to increase profit margins and the ACCC (Australian Competition and Consumer Commission) has already called them out on that," Mr Khoury said. "The question from us is, will it have any impact or will it just shift business from the day before or to the day after," Mr McKenzie said. "Retailers are buying the petrol for around 1.40 a litre and then it costs 10 to 12 cents to retail. Talk to any business in the country and they'll tell you costs are higher than they were a year or 10 years ago." Petrol prices in Australia's capital cities are the highest they've been in more than four years and with school holidays starting, families are doing it tougher than usual. "The cost of living is high and people are hurting, we know that but we're largely helpless to these overseas factors so we need to look at local solutions," Mr Khoury said. Ms Lamont, who has called for the strike to be extended for the whole weekend after more than 100,000 people showed their support, said the October boycott won't be the end. "We will do this every month until we are listened to and prices come down and stay that way," Ms Lamont told News Regional Media. "The government must reduce tax on fuel - it's theft and greed. It's sad to see so many people hurting." But Mr McKenzie said the boycott would instead hurt someone else - the 7000 small business owners who run the nation's petrol stations. "One risk of this is if it really starts to impact on the revenue of small business, they'll have to make the decision of whether to swallow the loss or try to recover it by increasing the price of products. The consequence could defeat the whole purpose and force retailers to push up petrol prices anyway," Mr McKenzie said. "They're seeking to punish local businesses for the actions made by international oil producers." 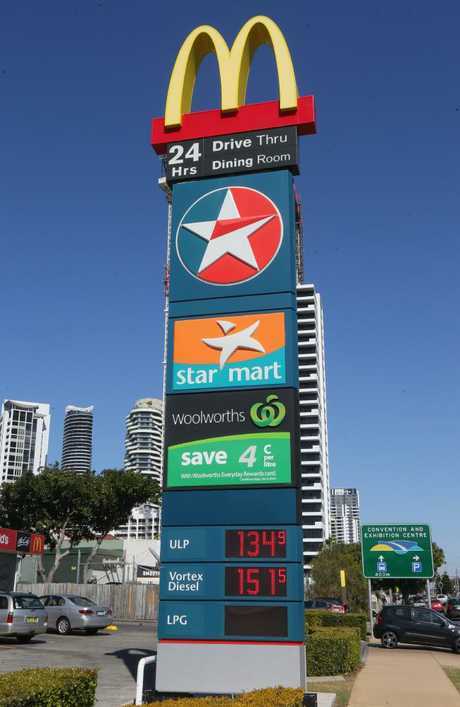 Queensland's peak motoring body RACQ encouraged motorists to adopt a similar tactic of boycotting pricey stations every day of the year. "It's completely understandable that drivers are frustrated by the high fuel prices we've seen in recent months, and while one-off stunts like this may give motorists a feeling of empowerment, unfortunately, they're unlikely to make a difference in the long-term," RACQ spokeswoman Lucinda Ross said. The national average price of unleaded petrol rose 0.6 cents last week to 152.8 cents a litre, according to the Australian Institute of Petroleum, while Adelaide drivers had the most pain at the bowser with a price of 157.9 cents - up 5.9 cents in a week to the highest since January 2014 and the nationwide average is 21.7 per cent higher than a year earlier. "New retailers entering the market, for example, can have a positive impact on competition as businesses fight for market share," ACCC chair Rod Sims said. "This can help bring down prices, as we have recently seen in the Cairns petrol market." 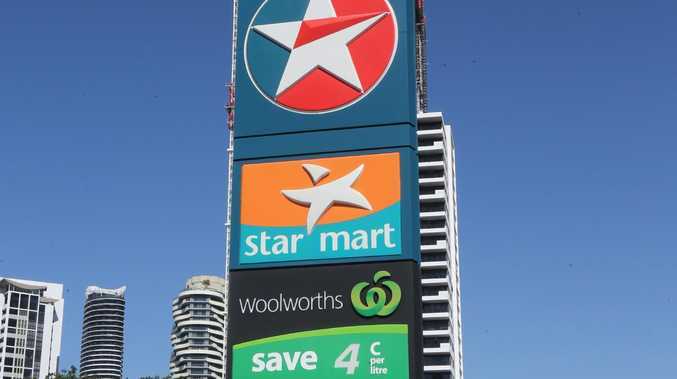 Limits to docket discounts following ACCC intervention, as well as changes to supermarkets' business arrangements, contributed to a decline in Coles' and Woolworths' market share since 2012/13. "For many consumers, price is the most important factor when determining where to buy petrol," Mr Sims said. "More players in the market means more options of where to buy petrol."